OWH Stars and Stamps (Our OLD blog! 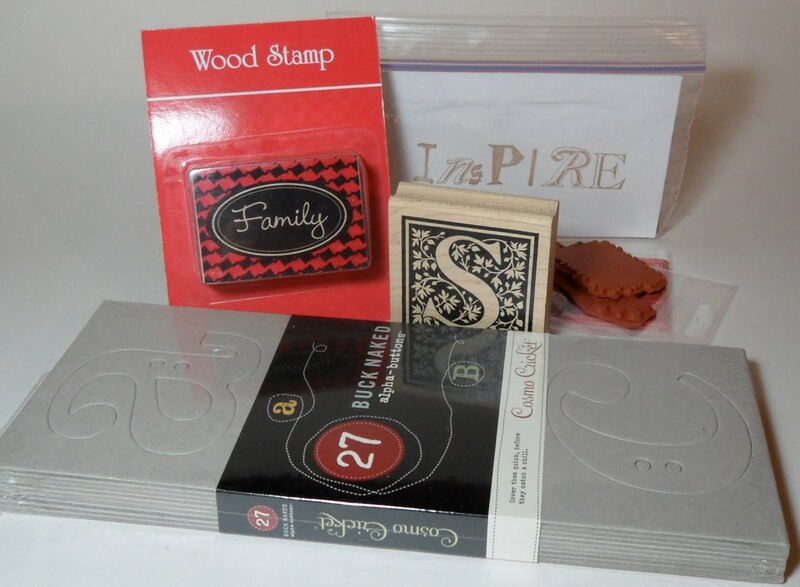 ): Family Challenge - from Ciara! Mom told me I could be the center of attention again - yay! Happy birthday OWH! Ciara, our OWH mascot, wanted to get in on the action - so she's posed for some brand new free digis and is offering up some prizes for those who use them! Below is a single page with the set of digis; be sure to click on the image first and then right-click the second image, so you get the best resolution when you print it out. Or click here to download a zip file with each as individual files that you can resize as you wish! KIDS! 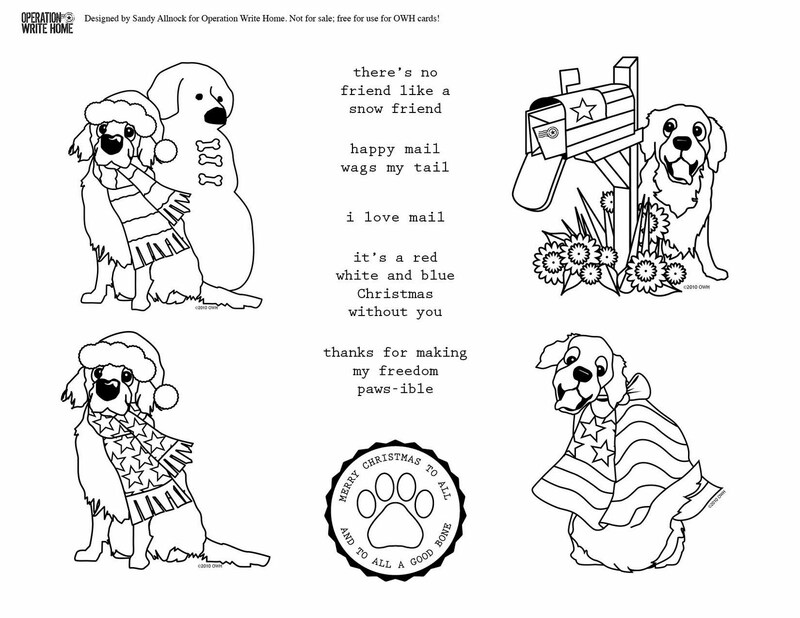 There are also coloring pages just for Christmas - click here to download a pdf! Remember, the deadline for Christmas AnyHero letters is November 30th! Ciara LOVES kids. Just loves them. Loves to kiss them and play ball with them! And she wants to see kids making cards, writing letters, and drawing pictures! 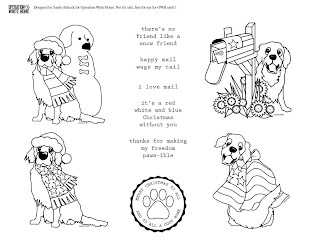 Post a picture of yours and your child's creations using the digis or coloring pages - or better yet, show us your child with their card so Ciara can see their adorable faces! You'll have til the end of September to upload your link to qualify for the drawing; prize winners will be announced in early October. Mom/kid submissions will be eligible for the first photo shown here, and TWO kids will win a kids pack of markers and foamies! Will be awarded to a combo mom/kid art submission! TWO prizes for kids to win - markers and patriotic foamies! FOUR copies of this book have been donated by the author - so we'll pick FOUR more winners! 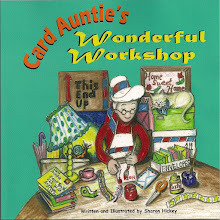 If you can't wait to see if you won this lovely book by our cardmaker Sherry, you can order it on Amazon right now! 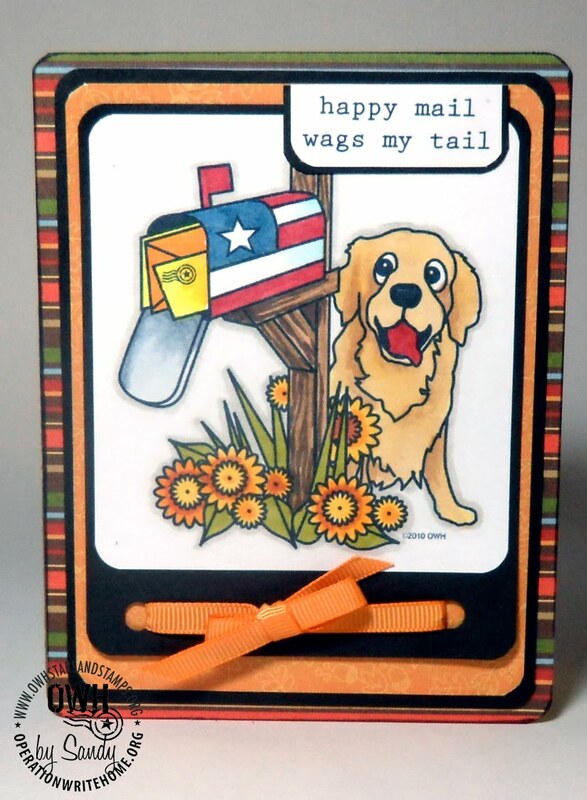 Stay tuned on Saturday - Sherry's going to have a wonderful new digi to share, and we'll hook you up when it goes live!! Here's a sneak peek...hint: it involves cake! To play along in this challenge, simply upload a project using this week's sketch to your blog or online gallery then leave a direct link to your project using the Inlinkz widget at the bottom of this post. We encourage everyone to take a few moments to visit and leave comments for the other participants. Comments are a wonderful way to say thank you for sharing your creative project and inspires everyone to create. Oh, I just love these new digi's. I'll be printing them in just a few minutes. My kids have already printed the new coloring pages this morning. TFS. These are super cute digi's!!! 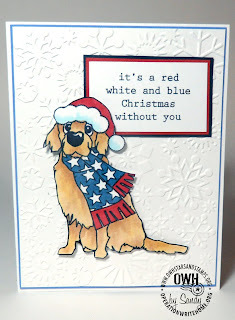 Adorable sample cards too!!! My kids will definately enjoy making these with me;) We have the book from Sherry and it's wonderful!!! I did try to extract the zip files and it says something about a problem with encryption?? ?Maybe I'm doing it wrong??? love the new digis.Great job, Sandy! 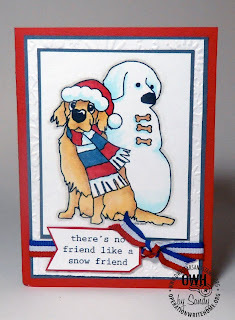 Yay Sandy, more great digis for kids, and awesome sample cards! I printed off a page with all the images, already have one done! Sandy, thanks for Ciara's images. They are so cute and your sample cards are awesome. 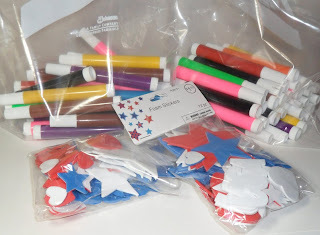 Fantastic freebies and challenge! 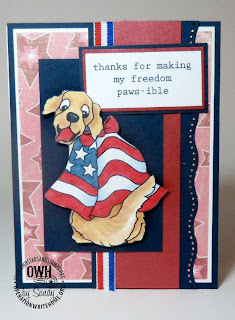 I linked your post from today's scrapbook news at http://exm.nr/b59Nqy :) Have a terrific Thursday! Oh, your new digi stamps are adorable!! I love him in the scarf and next to the snowman. :) Your cards are always lovely. Thanks for sharing!! 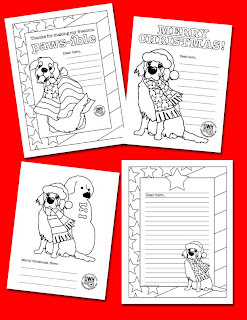 I'm looking forward to a long weekend coloring and making cards with the kids, thank you! Oh my goodness, thank you, thank you, thank you! 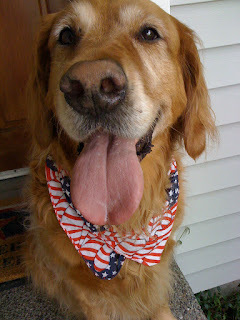 I have been human to seven Golden Retrievers, and needless to say, I cannot get enough of them. Great job on all the cards and Ciara looks like an absolutely sweetheart! Thanks for the great digis! Tell Ciara that she did another fabulous job of posing for these awesome digis! She's such a beauty, and special thanks to you for keeping her that way! Thanks for these great freebies! Ciara is gorgeous!! 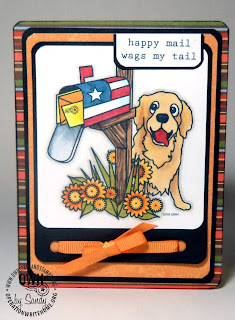 I love the stamps! Thank you so much! Sandy - how did you make the digital images of your dog? I would love to try that with my dog and/or cats! Is there a computer program for this? Thanks so much!! Thanks so much for sharing the fab images.